Many organisations are not prepared when disputes arise. Workplace conflict may occur when people's ideas, decisions or actions relating directly to the job are in opposition, or when two people just don't get along. Mediation and alternative dispute resolution is fast becoming every organisations preferred method of resolving complaints and conflict. Resolving disputes and clashes in the work environment is important for health, well being and productivity of employers and employees. Workplace Mediation is a voluntary process where two or more parties agree to attend a meeting facilitated by an impartial mediator. The purpose of the meeting is to explore the issues of a difficult relationship in the workplace. Any meetings are confidential and any agreement at the end is worded by the two or more parties involved. Some conflicts are so entrenched they need an outside perspective. That's when you need to bring in a third party, to help mediate and resolve the grievances in a fair and neutral manner. 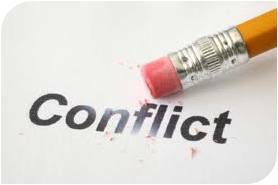 If your organisation is experiencing conflict which requires mediation or concilliation, contact Two One Investigations for a confidential briefing.